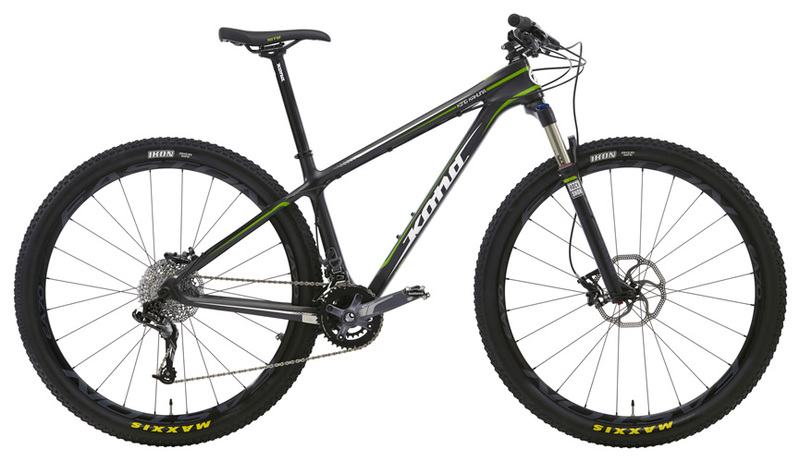 Our 29-inch wheel monocoque carbon fiber trail ninja is all you'll need to ignite XC race courses the world over. Tough enough and stiff enough to tackle super-technical singletrack, light enough and quick enough to break the backs of your competitors, the King Kahuna has features like 142x12 rear axle, UST tubeless wheelset, and race-heritage born geometry that combine for one of the most lightning-quick carbon fiber bikes on the market. This is the rig that carried Cory Wallace to 24 Hours of the Old Pueblo solo division victory in 2012. To create our growing fleet of Kona Carbon Race bikes, Kona has partnered with some of the most reputable carbon manufacturers in the world. Our design team works intimately with our production facilities to ensure desired ride characteristics, durability demands and weight stipulations are met to the highest standards possible. Kona Carbon Race bikes are featherlight, super fast, and tough as all hell. At Kona we are very selective when choosing carbon fiber for specific bicycle frames. Each riding discipline requires a different balance of weight, strength, frame damping, stiffness, compliancy and durability. With over 25 years experience making bikes for every known cycling discipline, the first step in the design phase is ensuring how carbon fiber can be optimized for its intended use. For the good guys and girls in the Kona Product Development and Sales Teams, it's imperative that key elements of the Kona Ride manifest in our carbon bikes. Efficiency, agility, comfort, and overall strength are all key considerations when we begin to work on the design of a carbon frame. Of course, we aim to leverage all the inherent properties of the material, but it's crucial that it still feels, rides and lasts like a Kona. THE WEAVE: Kona Carbon Race bikes use TORAY fibers, what we have determined to be the most technologically advanced in the industry—this is the same carbon weave used throughout most Formula 1 racing cars. Our carbon weave also features NANO TECH, a process that injects carbon nano cups into the weave matrix, bringing more strength, stiffness and impact resistance to the finished product. The results are frames with industry leading weight, stiffness and durability. Our entire structure is always built with unidirectional prepreg carbon fiber underneath a frame finish that is either UD or 3K. 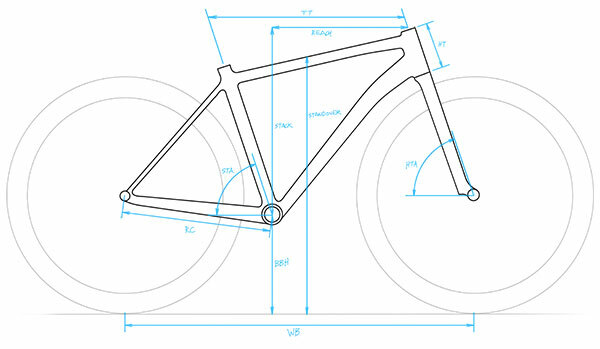 Kona Carbon Race frames are always built with a MONOCOQUE main triangle. While a tube-to-tube process similar to welding is cheaper to build, we choose only to use the monocoque process as it alone allows for continuous fibers where the tubes join, creating a much stronger and lighter structure. Our production process also eliminates as much bonded-in aluminum inserts as possible. While we bond in thread inserts for durability, you won't find us taking short cuts with aluminum inserts for bottom brackets, headtubes, front derailleur mounts, or seat tubes. When we do put alloy into the frame we take very specific steps on their surface treatment and have special jigs for each step to ensure proper alignment. Another thing you won't find inside our frames is foam. Laying up the carbon around foam mandrels is another trick that makes bikes cheaper and easier to build, but leaves the rider dragging around a bunch of heavy foam. Kona Carbon Race frames are only molded with internal air bags, which are removed after the molding process. This means our carbon frames are made from only the best ingredients: carbon fiber and epoxy. During the prototyping process, our frames are tested for weeks at a time on veritable bike torture machines that push our designs through tens of thousands of cycles. What we learn from this directly translates into making strong frames, while eliminating unnecessary material. Kona Team athletes—experts when it comes to pushing the limits of our bicycles in real world scenarios—are the next in line when it comes to testing our prototype Kona Carbon Race bikes. Even after the tests rigs and pro rider testing, our product team continues to abuse the same prototypes day-in and day-out to make sure we are building the best Kona Carbon Race frames we possibly can.